Suntec REIT's 2Q18 DPU of 2.474 Scts (-0.8% y-o-y) in line with expectations. But underlying DPU down 4.2% y-o-y largely due to transitionary downtime at Suntec Office. Suntec City Mall's turnaround continues with 2Q18 NPI up 2.4% y-o-y, tenant sales rising 5% and mid-single-digit rental reversions. Remains leveraged to the upturn in Singapore office rents. We maintain our BUY call on Suntec REIT (Suntec) with a Target Price of S$2.30. Since the start of the year, two other sell-side analysts have joined us in being bullish on Suntec. As CEO Mr Chan Kong Leong orchestrates the sustained turnaround of Suntec City Mall, spot office rents maintain their upward trajectory and underlying DPU improves, we believe more investors and other sell-side analysts will become convinced that Suntec is undervalued. We have a street-high target price of S$2.30 compared to consensus target price of c.S$1.88. 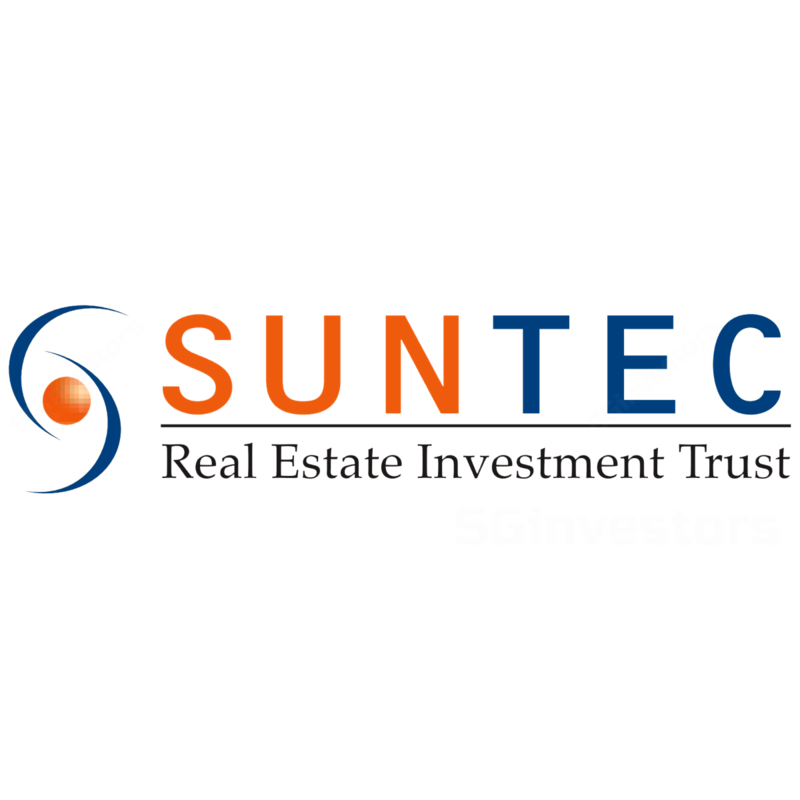 We believe Suntec REIT deserves to trade towards our target price, given office buildings and shopping malls in Singapore have been recently sold on 1.7-2.7% and 3-4% exit yields respectively, below the cap rate of 3.75-4% and 5% used to value Suntec’s office and retail properties. Furthermore, with office rents expected to be on a multi-year upturn, this typically coincides with office REITs such as Suntec, trading at a premium to book. Finally, our Target Price is pegged to a price which would allow any potential bidder to generate a 10% IRR. While we are not privy to any potential takeover offers, our analysis was done to reflect market speculation of a Suntec REIT privatisation over the years. Passing rents at Suntec City Mall of S$10-11 psf/mth are at a significant discount to other suburban malls of up to S$17-18 psf/mth. We believe as Suntec remixes its tenant mix and picks the low-hanging fruits such as placing children stores next to the playground rather than at opposite ends of the mall, the resultant higher foot traffic, tenant sales and improving rents should act as re-rating catalysts. We maintain our DCF-based Target Price of S$2.30. With over 25% total return in the coming year, we reiterate our BUY call. The key risks to our bullish view are a downturn in the office market and the failure to revitalise Suntec City Mall. Suntec REIT's 2Q18 DPU came in at 2.474 Scts (-0.8% y-o-y) translating into 1H18 DPU of 4.907 Scts (-0.2% y-o-y). 1H18 DPU represented c.49% of our FY18F and was in line with our expectations. However, excluding S$10m worth of capital distributions (S$8m in 2Q17), underlying 2Q18 would have been 2.099 Scts (-4.2% y-o-y) which represented c.23% of our FY18F DPU and was below expectations. The underperformance was largely due to weaker NPI margins at Suntec Office (76.9% versus 80% level achieved over FY17) and a weaker AUD compared to our earlier expectations. The overall decline in 2Q18 DPU was also attributed to a 1% increase in units on issue, lower contributions from its JV assets (One Raffles Quay and MBFC – impact of prior negative rental reversions and downtime) and 9.8% drop in NPI from Suntec Office. Suntec Office suffered despite committed occupancy rising to 99.7% from 97.9% in 2Q18 as the property was impacted by a drop in signing rents in prior quarters, transitionary downtime for replacement leases (effective occupancy of 94%) and contribution to the sinking fund to finance the refurbishment of the lobby and lift areas for the property. Stripping out the contribution to the sinking fund, 2Q18 NPI for Suntec Office would have fallen by 7.4% y-o-y. The turnaround at Suntec City Mall continued with 2Q18 revenue and NPI increasing by 2.4% and 2.7% y-o-y respectively, largely on the back of an improvement in occupancy (98.6% versus 96.8% in 2Q17). Meanwhile, the convention business had a good quarter with 2Q18 revenue and NPI jumping 30.9% and 110.7% y-o-y respectively as 2018 is an even year which typically results in a higher number of conventions coming to Singapore. The Australian properties also had a good quarter despite the headwinds from a weaker AUD, with 2Q18 NPI for 177 Pacific Highway up 4.3% y-o-y. Associate contribution from Southgate rose 191.7% y-o-y as Suntec REIT increased its stake in the property from 25% to 50%. Office occupancy at Southgate improved marginally to 92.7% from 92.5% at end-1Q18 with Suntec REIT guiding that it had subsequently signed a heads of agreement for an additional 7% of NLA. The improvement at Suntec City Mall continued with 1H18 foot traffic up 8.5% y-o-y although slower than the 12.7% and 12.8% y-o-y increase reported in 1Q18 and FY17 respectively. The healthy increase in tenant sales was also maintained, rising 5% y-o-y in 2Q18 (+5.2% for 1H18 and +4.8% for FY17). We understand that over the quarter, Suntec REIT was able to achieve positive rental reversions in the mid-single digits for Suntec City Mall. With management’s active tenant remixing as seen by the low 59% tenant retention rate in 2Q18, repositioning of certain sections of the mall (North wing will now be a fitness and wellness zone), reduction in shop unit sizes to maximise sales efficiency, and improvements in the circulation throughout the mall, we remain confident that Suntec REIT in on track to close the discount in rents achieved at the property compared to other suburban malls (average passing rent between S$10-12 psf/mth compared to other suburban malls of up to S$18 psf/mth). In addition, over the quarter, with the removal of secondary corridors, Suntec REIT was able to boost net lettable area (NLA) by around 20,000 sqft. We understand that future reconfiguring of the mall, including shifting service desks, should also result in additional NLA. In 2Q18, average signing rents for Suntec Office stood at S$8.95 psf/mth, flat q-o-q, but up from S$8.79 psf/mth in 2Q17. Based on these signing rents, Suntec REIT reported that it achieved low single-digit rental reversions across its office portfolio. Post the renewals over the quarter, another 5.1% of leases by NLA in Suntec’s office portfolio are set to expire for the remainder of the year, down 9% in the prior quarter. Another 15.1% of leases are due for renewal in FY19. With committed occupancies improving to 99.7% and WeWork which is taking up c.36,500 sqft of space over two floors at Tower 5 commencing in 4Q18, we believe contribution from the office should rebound in 2H, after a poor 2Q18 performance. Furthermore, with Suntec REIT embarking on the upgrading of lift lobbies and washrooms at Suntec Office, we believe this should also help improve the positioning and rents of the property over time. The 3-year project is expected to commence in 4Q18 and is targeted to be completed by end-2021. Total cost for the renovation works is approximately S$55m. On the back of the acquisition of an additional 25% interest in Southgate, aggregate leverage increased to 37.9% from 36.6% as at end-March 2018. However, borrowing cost was relatively stable at 2.74%. Meanwhile, the proportion of fixed rate debt inched up to 70% from c.65% in the prior quarter. NAV per unit (excluding distributions) was stable at S$2.08. Due to the lower effective occupancies at Suntec Office and accounting for the depreciation of the AUD, we trimmed our underlying FY18-19F DPU by 2-4%. Nevertheless, we still expect DPU to be maintained over the next three years at around 10 Scts p.a. given management guidance of maintaining a stable DPU with underlying DPU projected to grow by 3% p.a. over the same period. With around S$90m worth of capital gains yet to be distributed, we believe with underlying operations improving, Suntec REIT has sufficient cash to maintain a stable DPU until underlying DPU increases beyond 10 Scts in FY21. We project capital distributions of c.S$34m in FY18F before dropping to c.S$10m by FY20F. Despite weaker-than-expected contribution from Suntec Office in 2Q18, which in some ways is transitionary in nature, causing underlying 2Q18 to fall short, we reiterate our BUY call with Target Price of S$2.30. We continue to like Suntec REIT for its exposure to the expected multi-year in office rents and the turnaround of Suntec City Mall.